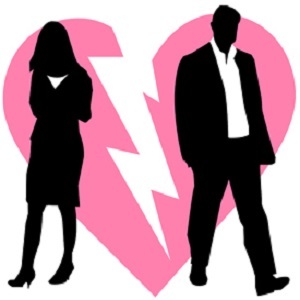 [Blind Gossip] As the battle between this famous actor and actress drags on beyond the divorce, you may be wondering why the ex-husband wants to depose the man his ex-wife dated after him. The public story is that he wants to confirmation about things that did or did not happen during their marriage. The story that is being whispered behind the scenes is that he is actually hoping that the other man – who is very wealthy – will pay him off to avoid a deposition. Our actor must be desperate for money. [Optional] Do you think his strategy will work? Amber Heard/Johnny Depp. he has to be really broke. I wonder who will he blame for his financial misery now, when he sued his former managment bc of stealing his whole money? Depp seems like scum, not to mention a belligerent drunk! Even if he gets money, he’ll probably blow it all, and end up back in the same mess he’s in now, so I hope his scam doesn’t work! Johnny Depp, Amber Heard, and Elon Musk. I wondered why Depp would want Musk to testify … I couldn’t see any way Musk would be able to help Depp. What is sad is all that has been revealed about Depp, and like Sheen you can see the physical toll the drugs and alcohol have taken. Anyone who defends him at this point is enabling his premature death, plain and simple – his unwavering fans let him delude himself and make him bankable, which prevents him from getting help he needs. Agree and he looks even worse by doing all this. Do I think Elon Musk will pay Johnny Depp some money to avoid a deposition? No, why would he? If he wants to avoid the depo he has legal avenues first. I don’t see Elon paying Depp. Ahhhhhh, thank you, Lord, for my average life. Johnny Depp is just as unstable as Elon Musk. Johnny Depp is a mess. I wish he’d lose everything – all acting roles, all his fans, literally everything. He’s a terrible, rotten, miserable person. Amber and Depp with the other guy being Elon Musk? Depp, Heard and Musk. Wow, is Johnny desperate. Do you think his strategy will work? Possibly. Depends on what Elon has to hide. And how much Johnny wants to get paid. Optional: Probably will work. Depends on Elon’s mood. Ex-Couple: Johnny Depp and Amber Heard. The Other Man: Elon Musk. I think the whole thing is pathetic and needs to be put to rest. Couple: Johnny Depp and Amber Heard. [Optional] Do you think his strategy will work? Probably will, the rich likes to keep theirs secrets buried! Well it sounds like it could be Tom Cruise and Katie Holmes with the other man being Jamie Foxx but I highly doubt Tom Cruise is hard up for money. Depp, Heard, and Musk. Sounds sneaky but ingenious! Could this be Johnny Depp and Amber Heard? I hear he’s low on money. Amber Heard and Johnny Depp, with the other man being Elon Musk. Yes, Johnny Depp needs money. He got used to spending huge amounts of money when he was popular, but his reputation has suffered and he is no longer earning what he used to. He does need money. I remember when this guy was seen as such a talent – dissolved into alcohol and drugs like so many before him. Sad. Amber Heard briefly dated Musk after Depp..
Depp is in financial trouble.. Musk has had issues the past year or so that hurt his public persona and may want to defuse any connection to that drama.